Hey y'all! Just stopped by to quickly share with y'all what I'm working on. 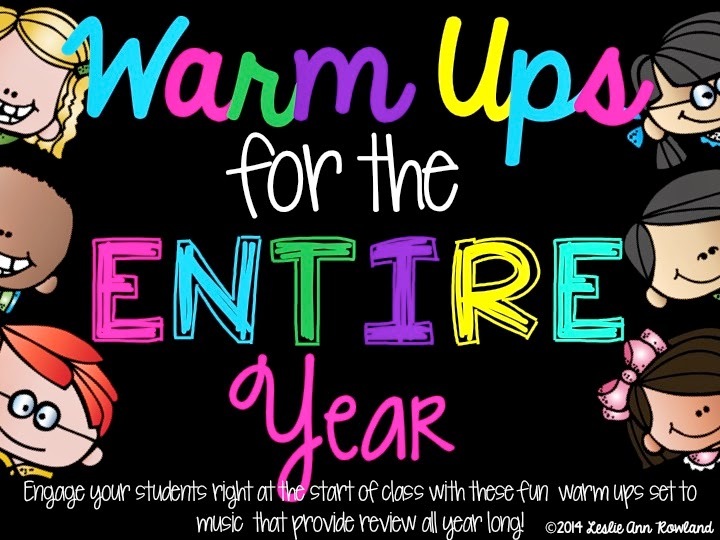 :) I uploaded my Warm Ups for the Entire Year (5th grade version) on Monday, but after several requests, I've started aligning each activity to the CCSS. Hopefully it will be up soon! If you have already purchased this, don't worry! You can download the revised unit when it is complete. I'm also working on my newest unit, A Trait A Day. I can't wait to get this completed. It will help so much with my kids learning new vocabulary words. 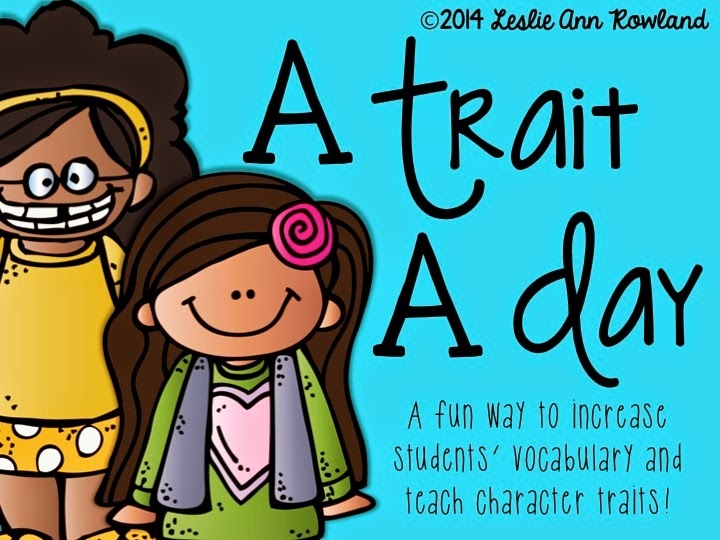 Whenever I taught character traits last year, I noticed that my kids were unfamiliar with a lot of the traits, so I decided to start early on this coming year and increase the students' vocabulary! Love the character trait idea! 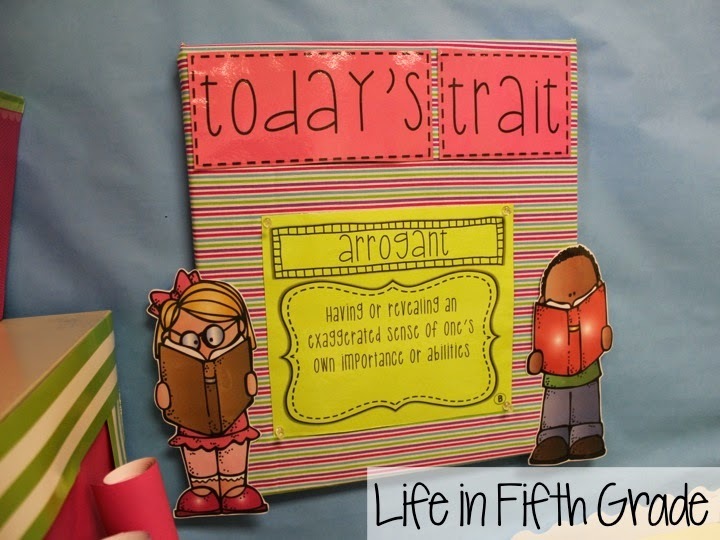 I have been looking for ways to implement character in my 5th grade room. I think it's SO important at this level because students are going through a HUGE developmental transition! Love the looks of your creation there. Can't wait to see the finished product. How do you utilize this in your classroom? I'll have to check out your daily warmups! I was thinking about creating my own, but why reinvent the wheel?! I might as well swing over and buy yours! And I love the Trait A Day unit! Great thinking!